PRICES ARE ACTUALIZED BY THE RUBLE COURSE on May 21, 2015 (0.45 CPC). PRICES MAY CHANGE. REFINE AT THE BOOKING. 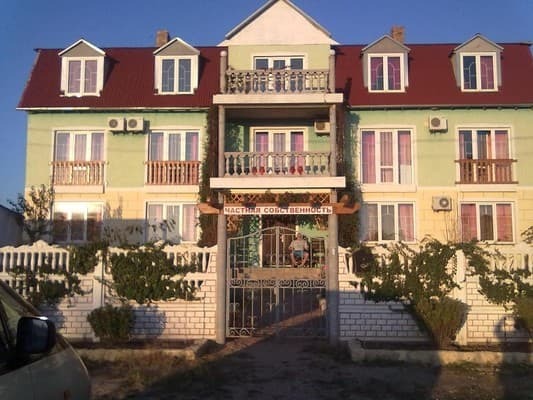 Guest house "Atlantic" is located on the western coast of the Crimea. The hotel has a sandy guarded beach 300 meters from the house, equipped with a canopy, sun loungers. Also on the beach there are 2 locker rooms, beach mushrooms. 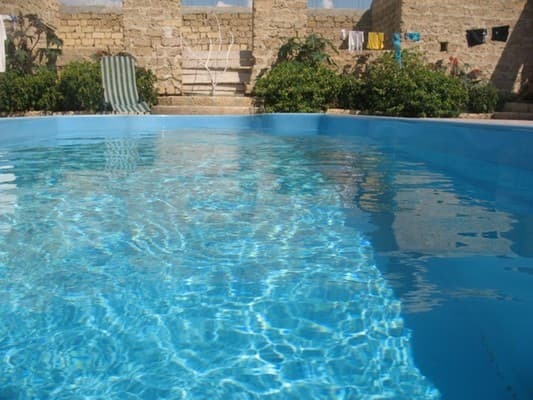 On the territory of the hotel "Atlantic" is a swimming pool, barbecue, children's playground, gazebos. There is also a mini kitchen for self-catering. Attention guests are offered one-room superior rooms, suites overlooking the sea, as well as apartments with sea views. It is possible to come with animals by prior arrangement. Wi-Fi is available. 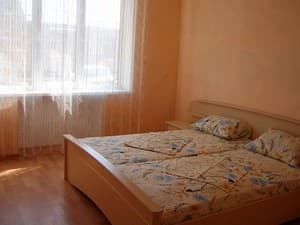 The hotel can organize medical and wellness treatments on the basis of the medical center of the "Mayak" sanatorium. Description of the room: One-room superior rooms are located on the north and south side. Spacious and bright rooms (16 sq.m) with all amenities. 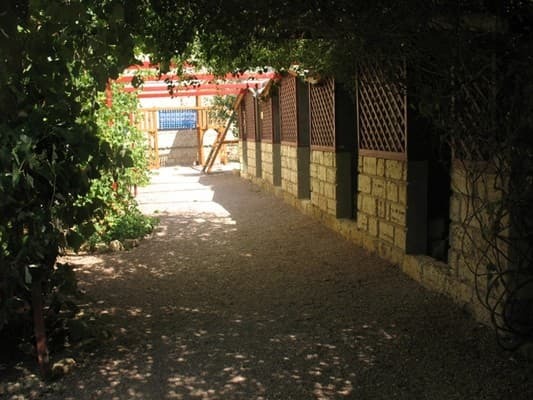 Description of the room: The junior suite (16 sq.m) with all the facilities is on the south side. The room has a wonderful view of the sea. Description of the room: One-room superior room with all amenities. 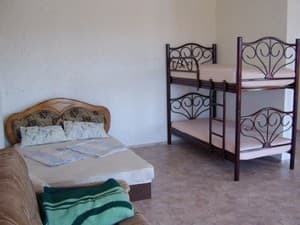 Description of the room: The studio apartment (32 sq.m) with sea view can accommodate from 1 to 6 people. The room has all the amenities, as well as its own kitchen. 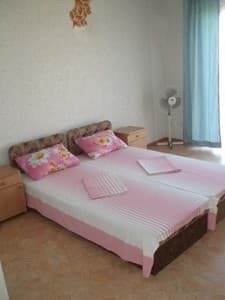 Description of the room: One room is located on the south side, with sea views and air conditioning, the second - on the north side without air conditioning. Children under 3 years old without a seat are accommodated free of charge. Children under 12 years old get a 20% discount on the main place. The discount is valid for two adults per room! 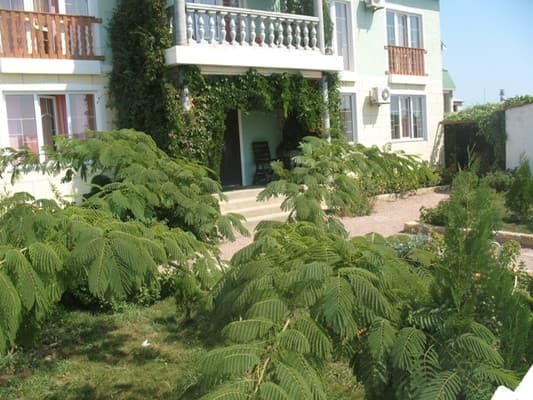 Guest house "Atlantic" is located on the western coast of the Crimea at 470 m from the beach. Directions from the railway station Evpatoria - shuttle bus number 119, stop "Photon". It is possible to book a transfer.